WASHINGTON — President Donald Trump's nominee for the No. 2 spot at the Federal Emergency Management Agency withdrew from consideration on Wednesday after NBC News raised questions about a federal investigation that found he had falsified government travel and timekeeping records when he served in the Bush administration in 2005. "Given the distraction this will cause the Agency in a time when they cannot afford to lose focus, I have withdrawn from my nomination," the former nominee, Daniel A. Craig, said in an email to NBC News. The investigation, jointly conducted by the FBI and the Department of Homeland Security’s Office of Inspector General, concluded there was insufficient evidence that Craig had violated conflict-of-interest laws in the awarding of huge FEMA contracts in the aftermath of Hurricane Katrina, according to a 2011 report that has never been made public but which was reviewed by NBC News. But the investigation revealed conduct by Craig, specifically falsification of records, that could have become a major stumbling block in his confirmation by the Senate. With FEMA back in the news because of the recent hurricanes, and still smarting from its inadequate response to Katrina, senators would have had to decide whether he should be the person they want running its day-to-day operations. Craig said he was withdrawing his nomination after NBC News contacted him about the report. He also said there was information in the report that was incorrect and the result of "poor" investigating and added that the IG had failed to follow up on information investigators were given at the time. Craig was never charged with a crime for his actions and maintains he did nothing wrong. He said he properly accounted for all of the hours he worked. In July, Trump nominated Craig to serve as FEMA’s deputy administrator. His nomination had been referred to the Senate Committee on Homeland Security and Governmental Affairs; the committee had yet to move forward on the nomination. In his email, Craig said he never tried to hide the investigation from the White House or the Senate, and said it was mentioned in the answers to the official questionnaire he had to fill out. Craig came under scrutiny by the Inspector General for allegedly exploiting his position as FEMA’s director of recovery for personal gain. At the time, the agency was giving $100 million contracts to private firms for temporary housing of Katrina victims, and the report said that Craig was seeking employment with those firms. NBC News reviewed 18 pages of the 21-page summary of the report issued by DHS’s Office of the Inspector General in March 2011, which has not been made public. It was provided by a source familiar with the investigation. NBC has not seen a copy of the full report. Asked about Craig's withdrawal, Sarah Huckabee Sanders, the White House press secretary, said Wednesday she did not want to “go down rabbit holes on personnel” at FEMA. The administration's focus is on “the safety and security of those affected by the hurricane," she said. When the White House nominated Craig in July, it said in a news release that he had managed the recovery services and funds given to victims of more than 120 disasters, fires and emergencies, including the 9/11 terrorist attacks and the Space Shuttle Columbia explosion in 2003. 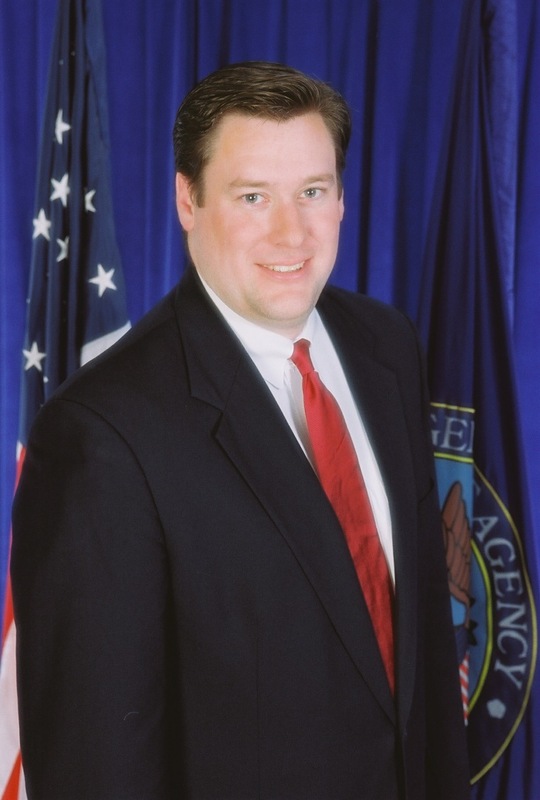 A former Republican operative and U.S. Chamber of Commerce official, Craig served from 2003 to 2005 as FEMA’s director of recovery, a senior position that oversees disaster recovery efforts. He most recently worked as a senior vice president at Adjusters International, a disaster preparedness and recovery firm. The IG report six years ago highlighted potential ethics concerns surrounding Craig after he left FEMA and became a lobbyist for a Miami-based law firm, Akerman Senterfitt, working on behalf of a client that secured more than $1 billion in FEMA contracts as part of the Katrina relief effort. As a former federal employee in a senior position, Craig was subject to a one-year prohibition on lobbying FEMA officials. But before a full year had passed since he left the agency, he had dinner with two FEMA employees and submitted the bill to his firm as business expenses, according to Akerman account statements cited in the report. One of them was the FEMA administrator at the time, David Paulison, the agency’s top-ranking official, who told NBC News he secretly recorded Craig at the FBI's request after federal investigators informed him of the potential conflict-of-interest violation, the report said. In the recorded conversation, Craig told Paulison he had done nothing wrong and denied that their dinner had violated the one-year lobbying ban, according to the report. Paulison told NBC News that the report’s description of his conversations with investigators was accurate regarding his 2006 dinner with Craig, but said that he could not comment on the investigation’s other findings since he had not seen the report. "Dan was a great employee when he worked for me, very bright, a hard worker," Paulison said in an interview before Craig withdrew. The U.S. Attorney’s Office for the Middle District of Louisiana had conducted its own investigation into whether Craig had violated federal conflict-of-interest laws by seeking employment at firms that won big FEMA contracts, the Inspector General report noted. The Justice Department had similarly concluded that there was not enough evidence to prove that he had violated the law, and closed its file on Craig in 2010, the report said. DHS’s Office of Inspector General has never made its own findings public. Unlike audits or inspections, which are usually publicly available, Inspector General investigations into alleged criminal, civil, and administrative misconduct are seldom released. The IG report alleges that Craig committed travel-voucher fraud for a trip he took to Baton Rouge, Louisiana, in August 2005, claiming his travel expenses were for official government business when in fact he was interviewing for a job with the Shaw Group, an engineering and construction firm that received a big post-Katrina contract. In an interview with investigators, the FEMA official responsible for signing travel vouchers said that his signature had been forged on Craig’s voucher. Craig’s Louisiana trip cost taxpayers $482.43, the report said, but the report did not specify whether he had paid back the money. Craig also falsified his time and attendance records at FEMA, interviewing for potential new jobs during times he claimed to be at work, the report alleged. In an email, Craig denied any wrongdoing. He said that he took the Baton Rouge trip to meet with the Louisiana governor's office on government business — not to interview with Shaw. He added that he had worked "ten hours or more" a day during the time period that federal investigators said that he was going on job interviews. Shaw ultimately offered Craig a job, which he accepted but then later turned down, according to company executives cited in the report. On Sept. 8, 2005, Shaw announced that FEMA had awarded the firm a $100 million contract to provide temporary housing for victims of Katrina, which hit the Gulf Coast on August 29, 2005. Fluor and two other federal contractors landed similarly large deals with FEMA. Under federal law, executive-branch employees are prohibited from participating in government matters in which they have a financial interest. In a Sept. 21, 2005 letter to Paulison, then FEMA’s acting director, Craig made an effort to recuse himself, but the letter was dated after the report said he had begun interviewing with Shaw, and after FEMA had already awarded the contract to the firm. A FEMA official also told investigators that Craig had not properly recused himself before interviewing with Shaw, according to the report. Craig told Paulison that he was potentially pursuing a job with Shaw, among other firms, and could no longer participate in matters that affected the financial interests of those companies, according to the letter, which was obtained by the Project on Government Oversight, a non-partisan watchdog group. Craig also informed DHS’s Office of Inspector General that he had landed a job with a FEMA contractor but did not take it, according to the report. That was what prompted the IG’s office to open its initial investigation into Craig’s potential conflict-of-interest violation, the report said. "While I knew I did not violate any conflicts, I believed in my mind there would be a perceived conflict," Craig said, explaining why he had reported the job to the IG's office. Craig left his post at FEMA on Sept. 30, 2005, the report continued, and went to work for Akerman instead. FEMA’s deal with Shaw was one of four controversial, no-bid contracts for FEMA trailers that the agency doled out in Katrina’s aftermath. Each contract originally had a $100 million ceiling, but their value quickly swelled. By July 2006, the government had committed to paying Shaw more than $900 million for its FEMA trailer contract, the agency said. FEMA quickly came under heavy criticism for the no-bid contracts, which the agency claimed were necessary given the overwhelming demands of the Katrina recovery. Matt Jadacki, special inspector general for Gulf Coast Hurricane Recovery, testified to a Senate subcommittee that FEMA had not adequately documented why it chose to award the four contracts to certain firms over others, which created the impression of "bias or favoritism." In the summer of 2007, the U.S. Attorney’s Office for the Eastern District of Louisiana asked the FBI to investigate whether Craig had violated federal law during his job search with firms that received the no-bid contracts from FEMA, the report said. At the request of the U.S. Attorney, DHS re-opened its own investigation into the matter. The joint FBI-DHS inquiry built upon an earlier DHS investigation that concluded there was not enough evidence to prove that Craig had a substantial role in FEMA’s decision to award a contract to Shaw, in violation of federal law, according to the report. Through interviews with his former colleagues, the report said, federal investigators confirmed that Craig was involved in the internal discussions at FEMA about the temporary housing contracts. One colleague asked Craig to recommend names of individual contractors in late July or early August — around the time that investigators said Craig was interviewing with Shaw — and Craig had suggested Shaw without going into further detail, according to the report. But the colleague, like others at FEMA, told federal investigators that he wasn’t aware of any effort on Craig’s part to influence the selection of contractors. The housing contracts would ultimately become exemplars of government waste and mismanagement during the Katrina recovery. Shaw, for its part, was eager to have Craig help the firm apply for its next FEMA contract by bringing him on board as a consultant, according to Shaw executives cited in the IG report. Though Craig decided not to join the firm’s staff, Shaw still managed to employ his services and hired Akerman Senterfitt, where Craig worked as a consultant and lobbyist from October 2005 through May 2008, according to his LinkedIn profile. In an interview with federal investigators cited in the report, a Shaw executive said that Craig acted as a consultant to help the firm land a second contract with FEMA, which the executive estimated to be worth about $600 million. (FEMA awarded new housing contracts to Shaw and five other firms in August 2006.) But soon after the second contract was awarded, according to an email cited in the report, Shaw terminated its business relationship with Akerman after a lobbying disclosure appeared to show that Craig had potentially run afoul of a second federal ethics law. Under that federal law, which was enacted for executive branch employees in 1978, senior federal employees are subject to a one-year "cooling off" period after leaving the government, during which they’re prohibited from lobbying their former departments or agencies. But less than a year after leaving the administration, Craig lobbied FEMA on disaster relief and housing issues on behalf of Shaw, according to a federal lobbying disclosure cited in the IG report from Akerman Senterfitt — which has since changed its name to Akerman — dated July 5, 2006. A few months later, Craig told the Shaw Group that Akerman staff had filed the July lobbying disclosure in error, as the one-year ban prohibited him from lobbying FEMA, according to documents cited in the IG report. Akerman also filed an amended version of the lobbying report that removed Craig’s name. Troubled by the revelation, Shaw immediately ended its business relationship with Akerman, according to the report, adding that Shaw said it had never asked or intended for Craig to lobby FEMA on the firm’s behalf. During his one-year cooling-off period, Craig had dinners with Paulison, the head of the agency, and Jadacki, FEMA’s head of Katrina oversight, that he charged to Akerman as business expenses, according to account statements described in the report. Under federal law, Craig would have been prohibited from communicating with FEMA officials with the intent to influence them. Speaking to federal investigators, Jadacki explained that he was friends with Craig, but said that they had never discussed Shaw or FEMA housing contracts, according to the report. Similarly, Paulison told investigators that Craig had not lobbied him and did not recall him bringing up the FEMA contracts; he described their dinner in August 2006 as a social occasion and said he was angry with Craig for listing it as a business expense, according to the report. After speaking with investigators, the report continued, Paulison agreed to meet with Craig again, secretly record their conversation, and debrief federal agents afterwards. During that meeting, which took place in December 2008, Craig told Paulison that he hadn’t done anything wrong, the report said. He denied writing off the 2006 dinner as a business expense and said he had not violated the one-year ban on lobbying, according to the report. Paulison showed him a subpoena from the U.S. Attorney’s office requiring all documentation of his business meetings with Craig, the report continued. Craig said that he had broken no laws and told Paulison to tell the truth.